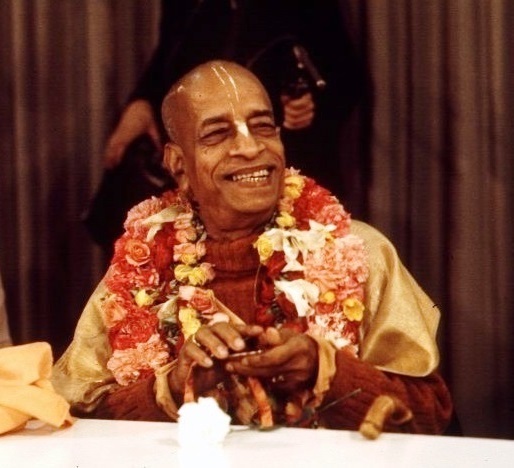 "This chanting of Hare Krishna and our sincere desire to serve Krishna will make everything clear, even if there is some impediments, because from Srimad-Bhagavatam we understand that a system of religiousity is to be understood as the most perfect if by following such system, we enrich our tendency to love God. Actually that tendency is in everyone, but on account of not being associated with pure devotees, our love is placed on something non-God. The whole process of Krishna Consciousness is to replace our love to Krishna. So any process that helps us to increase our love of Krishna, that is the best system of religiousity. Such system cannot be checked by any material impediments, and such development of love of Krishna is without any cause. Chanting of Hare Krishna is not meant for achieving any other better thing than Krishna. But when we chant Hare Krishna without any offense, we relish Krishna, the Reservoir of all pleasure."